Amy Sillman joins Harry Dodge in a public conversation for the annual Beckwith Lecture established in 1978 by Leo and Betty Beckwith to bring curators and cultural thinkers of national and international stature to the SMFA. Landline will be Amy Sillman's first institutional exhibition in the UK and will feature a new site-specific installation made for Camden Arts Centre. Working in a bold new format for the very first time, Sillman has created a sequence of large double-sided works on paper that combine print, drawing and painting. 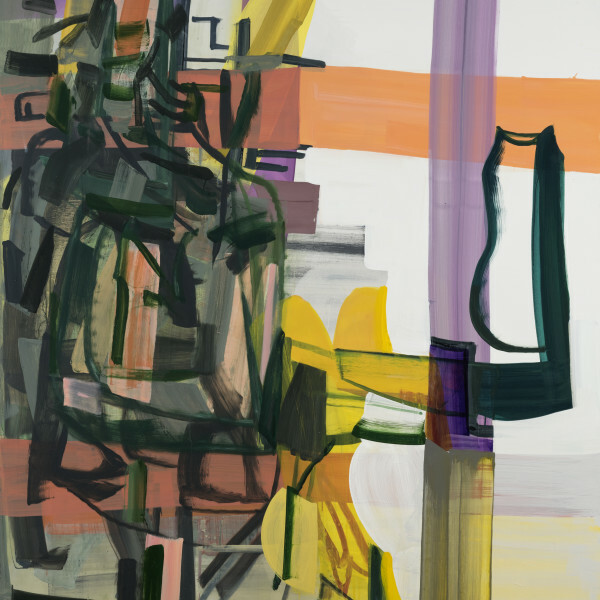 Portikus presents the ALL-OVER, Amy Sillman's first solo institutional exhibition in Germany. 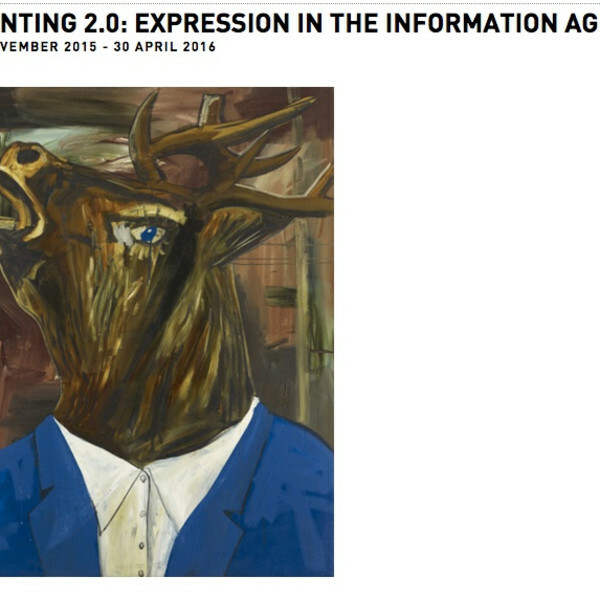 The title of the exhibition refers to a concept often used to describe abstract painting. Sillman updates this idea, of covering the entirity of the canvas, through mechanical means (via inkjet printing) and combines it with the gestural. the ALL-OVER also features a new animation created especially for Portikus, as well as the publication of her tenth zine. 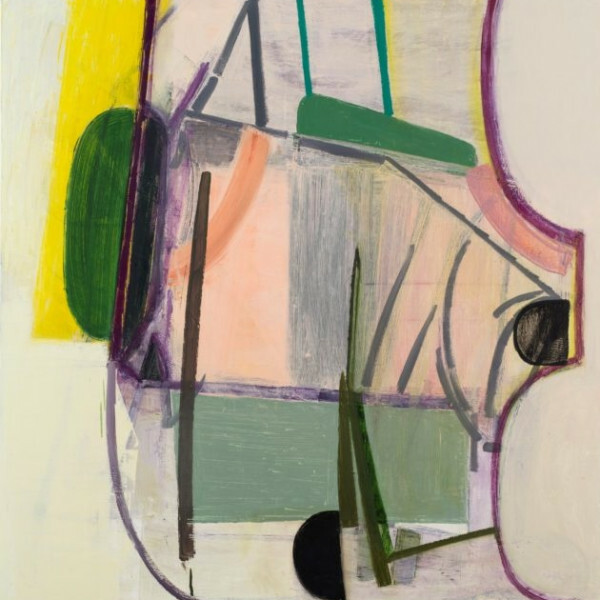 The Whitney Museum is proud to present two works by Amy Sillman at the 2014 Whitney Biennale; 'Mother', a painted work by the artist and 'Fells', a three-dimensional collaboration with sculptor Pam Lins. On view on the fourth floor of the 2014 Biennial, 'Fells' began with a question posed by sculptor Pam Lins about how to incorporate a painting into a sculpture, a proposal that she has been working for the past decade. 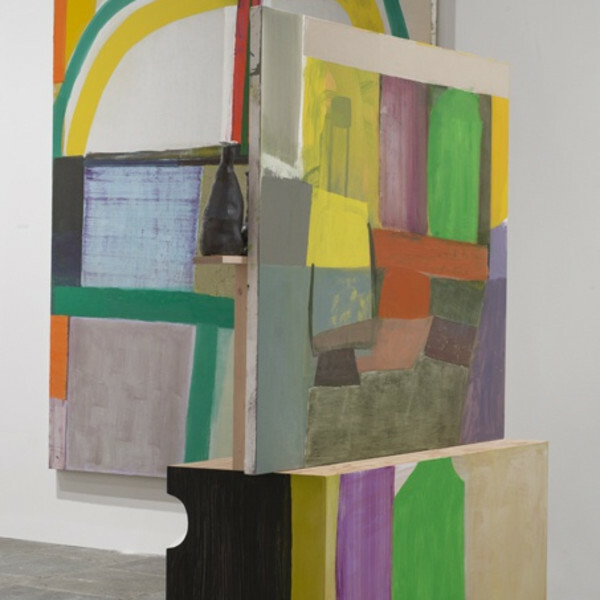 Amy Sillman suggested that Lins begin a new work by taking and responding to one of Sillman's own canvases, and this began an ongoing back-and-forth exchange between their two studios. They continued this chain of moves and responses for over a year, Lins adding a form, Sillman changing a painting in reply, Lins painting a panel, and so on. The result is a hybrid structure in which the parts appear somehow coordinated and disjointed at the same time, its sculptural components challenging us to think about three-dimensional space even as its pictorial elements seem to disrupt that solid reality. Painting is perhaps more vital today than any time since the heyday of the New York School in the late 1940s and 1950s, and Amy Sillman one of its most influential practitioners and thinkers. Through her dramatic shifts in style, sophisticated writings, and her role as head of the painting program at Bard College’s prestigious MFA program, she has proven that the basic building blocks of 20th-century painting are as relevant as ever. 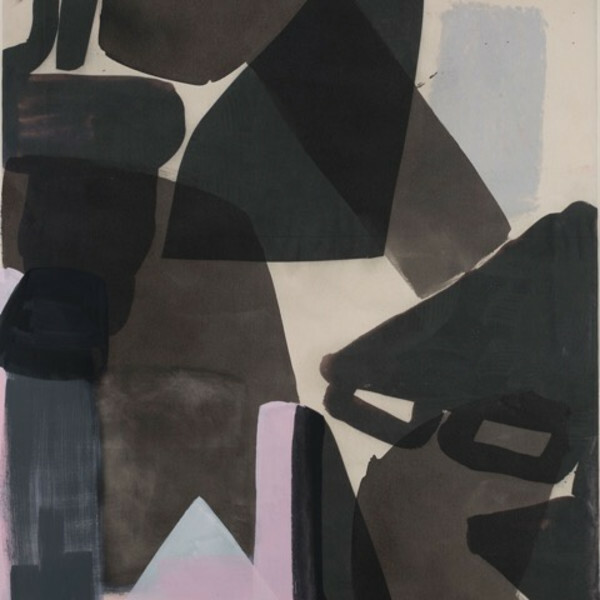 Amy Sillman's work foregrounds the materiality of painting and its formal, psychological, and conceptual dimensions. She constructs her work in a physical way - through gesture, color, and drawing-based procedures - and imbues it with questions of feminism, performativity, and humor. 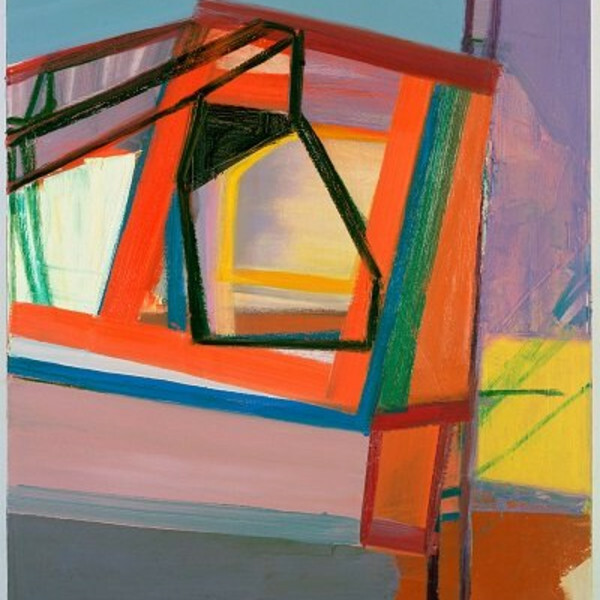 Sillman earned her BFA in 1979 from the School of Visual Arts, New York and her MFA in 1998 from Bard College, Annandale-on-Hudson, New York. She has received numerous awards and grants, including a Guggenheim Fellowship, the Louise Comfort Tiffany Foundation Award, the Guna S. Mundheim Fellowship in the Visual Arts from the American Academy in Berlin. Her work has been exhibited widely and is included in the collections of many prestigious institutions including The Museum of Modern Art in New York, The Art Institute of Chicago, the Metropolitan Museum of Art, the San Francisco Museum of Modern Art, and the Whitney Museum of American Art. She currently lives and works in Brooklyn, New York and is the Co-Chair of painting at the Milton Avery Graduate School of Arts at Bard College. 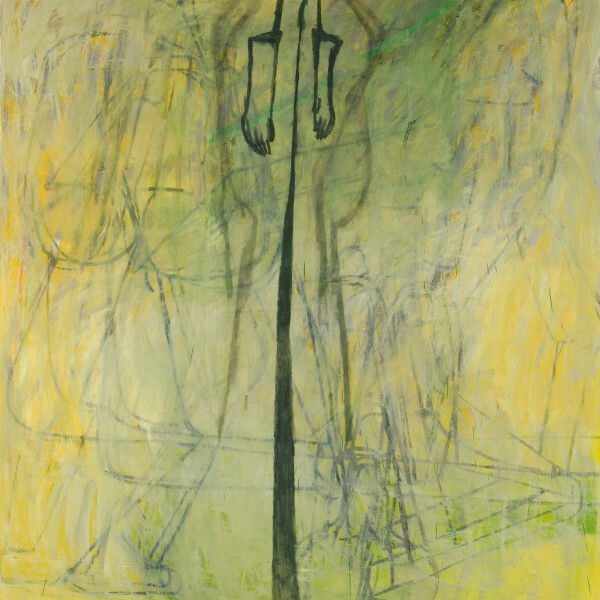 Sillman's first museum survey, one lump or two, opens at The Institute of Contemporary Art, Boston in October 2013. The exhibition, curated by Helen Molesworth, will travel to the Aspen Museum of Art and the Hessel Museum of Art at Bard College.